Since about 1999, former devotees’ replies to enquirers have been a great many. My closest colleagues and I go out of our way to assist those who enquire with courtesy. It seems very right to ignore those who are offensive. Why – when one has invested so many years in striving to pursue a decent and humane path – fall to the display of hatred and anger that has all too often reached our inboxes? The below email response which I have just sent to an enquirer is typical in tone and purpose to many that former devotees have, for many years, spent time and care in responding to enquirers. Thank you for writing to my blogsite. I may suggest that, in matters so serious as your education, you feel welcome to share this email with your parents and any elders within your extended family or circle of mentors whom you feel that you can approach for wise guidance. I am happy to answer any questions they may wish to put. There are other outstanding and highly senior leaders, too, who have resigned – after proper and scrupulous investigation of primary sources (families and young men from countries around the world) – from the Sathya Sai Organization. It is extremely hard for devotees to credit the integrity of those many former devotees who have investigated the serious allegations against Sathya Sai Baba, and, I must quickly add, certain of his servitors, including some teachers. I myself lectured for two years at the Whitefield college (1978-9), and was deeply devoted to Sathya Sai Baba for twenty-five years. In 1999, after very careful investigation that extended around the world, the evidence of sexual abuse against boys and young men, and other great wrongdoing was utterly compelling. Some of the investigation was by outstandingly qualified sexual abuse professionals, who have long stood ready to testify in any properly accountable legal jurisdiction. The truth remains that many of those who have left the Sathya Sai Organisation have done so on the highest moral and ethical principles. They have exercised the same standards that have, all along, been seen in them in their professions, trades and wider communities. No amount of vilification can change the actions of those renowned for telling the truth and practising righteous principles. We have remained within integrity no matter that some Sai devotees have often and cruelly attacked and libeled us, on and off the internet. Nothing can equal the sense of inner strength that comes from fearless assertion of truth and right conduct, no matter what the odds. Barry Pittard, Australia. Former lecturer at the Sathya Sai College, Whitefield. Is it honorable to wrap oneself in the silent icy shadows of unspoken terrible truths, leaving others to stand forth and to take the brunt? When all the details become available, I hope to be able to tell a story of one family’s determination to expose the dirty, abusive cabal that surrounded Sathya Sai Baba, and the catching of one of the most prominent of his teachers. All eloquent when on the stage at Puttaparthi. All neat, pressed and white-clad on the outside, but all dirt on the inside. Prison clothes will befit him. He will have to be kept in another section of the prison. Many prisoners love children, and they do not in the least like what, in Australian prison argot, are referred to as ‘Rockspiders’. He gave many of you who were part of the Sathya Sai education system a bad time. Some of you lay down in the dirt with him. Some of you perpetrated the same offences on yet others. He, and those like him, took your strength, but only YOU can reclaim it. Mental health professionals well know that such experiences later on terribly erode (though often unconsciously) marital and family life and health. This so-called educator is an utter disgrace to his noble profession. The whole world of responsible, caring and ethical teachers can only condemn his betrayal of students, their parents, family and friends, and the extended Sai community. Only the habit of strong actions can build you up and make you strong again. It is a perpetually self-renewing habit. One cannot allow oneself to be made weak by the strength of the weakness of those all around. When I taught my boys at the Sathya Sai College outside Bangalore (1978-9), I thought that this role was as fortunate a one as could ever bless a teacher. Let me tell those boys – although, I have to remind myself, they are men now – a story. Remember how we had a room to ourselves in the college. We called it ‘The Small Library’. It was rather special, wasn’t it? It was a bustling hub of cultural activity. Moreover, a meeting place for boys who would not normally mix all that much. Boys who were dark or lighter-skinned. Boys posh. Boys rough. Boys who had it comfortable in the residential college, and others who daily, six days a week, came and went in rattling, crowded buses, some from long distances. Boys who hailed from villages and from cities and towns up and down India. Boys from the homes of ex-maharajas and maharani’s and the power elites. But the ‘Small Library’ without preachings but more like bees building the golden honey – welded us into a learningful, toiling force. It was a place for sinking obstructive differences. A place that went far beyond grubbing for paltry marks and petty privileges. And years later, I heard that your beloved English lecturer PK (Mohanty), my dear and esteemed colleague, got cast out. Why? Because, it is my understanding, his was one small voice strong in defence of your innocence. Think back to others, whom you happen to know were not ‘bad eggs’ who got cast out. Think back, too, to the boys whose parents withdrew their boys from college. Think of all the hush-hush that went on about it. This form of thinking back that has triggered off the questioning process in others. Boys whom you held dear were lambs to the slaughter. I can tell you, if you do not already know it – they suffer terribly now. There is a terrible legacy of sexual confusion, relationship difficulty, and great spiritual and moral betrayal. 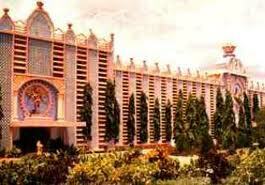 Because you are alumni of Sathya Sai institutions, the careers of many of you have prospered. It has allowed you to leap over candidates for jobs in many trades and professions. It has conferred privileges for you and your families vastly denied even to many in India’s privileged classes in India. But then, because of the psychological damage of the great many abuses, many of your brothers from your Sai education days have had their lives wrecked. Might you not think that they need you now? Might it not occur to you that some of them wish to see stopped those perpetrators who still thrive? – Addressing abuse of the young via the work of public education and reform in India and other countries . Well may PK’s voice still have trembled. But feeling weak does not mean that you are not strong. The good soldier is scared to the gut, but pitches into battle. It is all a matter of working with what strength you have available to you, and landing the blow, or doing the tender deed, in the best place you can manage at the time. Bullies need to be felled. And you need to strike down their ability to offend. Rehabilitating them is often out of the question. The habit of strength grows from less to greater, and weakness becomes a stranger. Some of you who see PK may like to tell him that I am speaking to you. There, in that ‘Small Library’ with its big strong heartbeat, which I have always since heard in my heart, was a sacred place. Have they pulled it down? In ‘The Small Library’, in imaginative and vivid ways, you were able to crawl out from under the dreadful and stilted rote ‘learning’ endemic in so much ‘education’ in India and many another place. 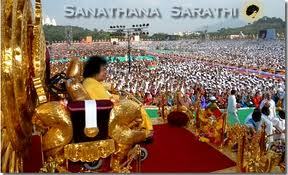 You affirmed, in pragmatic ways, Sathya Sai Baba’s insistence that the only ‘caste’ is the ‘caste’ of Humanity. We worked strongly as a team. But of what profit if you should apply teamship only to doing so well in cricket if you cannot be strong in the far greater ‘game’ of a life well-lived? (Mind you, if I may dilate – India will do well at cricket at least until our new players in the Australian Test 11 have had their baptism in fire in the next three or so years). Remember how we organized for boys with advanced English skills to communicate our tasks across a number of Indian state mother tongues? Think of any one initiative of ours – and how one kind of strength would contribute to the building of other types of strength! Think of how we got out of our heads and into our hands and, for example, bound books with rapidly establishing skill – and how, the respect of the intellectuals burgeoned when the boys who came from artisan backgrounds were able to shine. And how boys who were not bookish or particularly philosophical began to see how ideological concepts can interact with practical ones. What did it matter to us that the old system – not terribly much reformed since the Englishman Lord Macaulay had his way with ‘education’, so-called, in India – got a bit of a shaking, and boys streamed through the ‘Small Library’, and sat up and down corridors, around what we created! This spectacle shocked some of the frigid, chin-stroking ‘elders’? It was only later that I heard that some of more hide-bound lecturers wanted us shut down. And what would a foreigner know about teaching young Indians? How could I fail? – you guys taught me ….! Thank goodness we had some who stood forth for us. Will you not stand forth now? Eventually, your famous Indian scientist Dr Bhagavantham sent a lovely letter of appreciation. Some of you may know that in later years he spoke up to Sai Baba. (I am told, but cannot prove, that a member of his family was abused). A well-known and respected Indian industrial leader who was permitted to pass in and out of Sai Baba’s compound, told me that Sai Baba, just outside the door of the Kadugodi residence, went into a terrible fit of yelling at Bhagavantham. The latter was cast out. One of a long line of abrupt, often unexplained disappearances, as many of you will know. How absurd that we ever thought that Sai Baba simply showed, from time to time, his “Rudra Siva aspect”. He was a bully. Let’s call things by their right name. Are you still scared? Then stop it. You will despise yourself, when the children all around you need to see a man of alight with strength and decency. But you see, unless you stand forth strongly yourself, you never get to identify those others who are strong, and with whom you can make common cause. Stand with them and you will end up with friends the like of which will make you wish to be in no other company. Trust was established, obstacles fell. We blazed pathways to cooperative learning. We put the ‘busy’ into business. I had a good time. Did you? Anything that is remiss, ugly, cruel and unusual, irregular, and so forth, has long been passed over with a profound sense of psychological denial, or, in other cases, because those who have been outraged have not wanted to cause difficulties to themselves, families or friends. Sai Baba would commonly say – don’t criticize, see your own reflection in what you like to criticize. In other words, a teaching which, in certain applications, may have sense, but was repeatedly perverted in a way supportive of cover up, suppression and the climate of fear that attends authoritarian rule. The outcome has been, all along, a far-reaching denial of perfectly normal, legal entitlements, what to mention serious and fundamental human rights. One may, soon enough, witness an increased readiness for more and more Sai Baba devotees ready to give court testimony of a kind which, in the following months and years, can tear away duplicitous and complicitous mask after mask from the leaders of the Sathya Sai Central Trust and international Sathya Sai Organization. To be sure, Sathya Sai Baba is dead. But those who acted in complicity with him and ignored – so our considerable body of evidence goes – crimes which outrage Indian laws and constitution and ethics in countries everywhere, are still very much alive. Sh. Indu Lal ShahMember, Sri Sathya Sai Trust, Jaipur &Member, Sri Sathya Sai Central Trust &Advisor, Sri Sathya Sai World Council. Sh. J.N. SharmaSecretary, Sri Sathya Sai College, Jaipur &Secretary, Sri Sathya Sai Trust, Jaipur. A great many who do not know the way the Sai Baba ethos and daily officialdom works, may think that there is nothing unusual about Dr Savita Swami, a part of the Sathya Sai institutional framework, being outspoken. In fact, such a pronouncement is extremely rare. She is a part of the highly integrated Sathya Sai education system. Her college prospectus proclaims that it aims to embody the ancient aspiration of “Sa Vidya Ya Vimuktaye” – education which liberates. The college ventures this: “Our own modern correlative of providing to the students that education which not only liberates but also empowers”. Well, notoriously, the prospectuses of education institutions are, the world over, cases of promises vastly exceeding performance, and ideals that bear scant touch with the real world. But, given that the Sai Baba system, promises far more than any other institution – namely, the direct guidance of the Lord of Lords – the claims are terribly tall, and, rather, are mere plays with words. The typical flowery rhetoric gave me discomfort when I was teaching in the Sathya Sai education system – at the Sri Sathya Sai College, Whitefield, via Bangalore (1978-9), even though, at the time (and, mea culpa, for twenty-five years!) 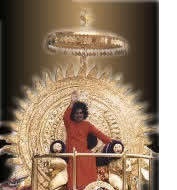 I believed that Sathya Sai Baba was the embodiment of what I then conceived as ‘Divine’. But such education aims are simply not achievable when one is forbidden to speak out. To question. To debate. To fearlessly hold a point of view. When one is not empowered and therefore not liberated in any meaningful sense. The constraint is a terrible one, which shackles body, mind and spirit. This is a Soviet-style, heavily hierarchic, top-down organization where there has long been a terrible price for those who do speak out. They are post-haste flung out of the Sathya Sai Organization or threats are made which cause many individuals to cower and recant against their own deeper stirrings of conscience. “If it were a private institution we’d have understood but its 90 per cent aided, they have to give only 10 per cent. How can there be a financial crunch then? There is no financial crunch,” said Dr Savita Swami, Senior Lecturer, Sri Sathya Sai College, Jaipur. “One factor that may somewhat save the day could well be the actions of those Sai Baba devotees who have had their eyes at least somewhat opened, particularly those many who appear to have put up with more than enough from figures such as R.J. Ratnakar and V. Srinivasan, who are on the profoundly untrustworthy Sai Trust”. See: Will Andhra Pradesh, South India, Only Appear To Address Sathya Sai Baba Scandals? Jaipur, Jul 12: The Sri Sathya Sai College has run into functional and financial trouble after it illegally fired 15 staff members, including 11 lecturers. According to the college, the staff was fired for financial issues but teachers beg to differ on the same. Teachers also said that the college owed each of them Rs 2 lakh and only 66 percent of them were given their salaries since 2008. The college has a different story to say. According to the institution, the money taken from teachers were donations, while the latter say that money was taken from them on the pretext of bringing the college out of crisis.